A friend of mine just started to get into fiction writing with an interest in writing commercial fiction professionally. He asked me for some feedback and advice so I wrote him a small dissertation. Now, I’m not a NYT Bestseller (yet), but I’ve won my share of awards and my debut novel, GRAVEYARD SHIFT, is coming out this next year from TOR, so (if I may be so bold) I feel that my advice isn’t entirely without value. 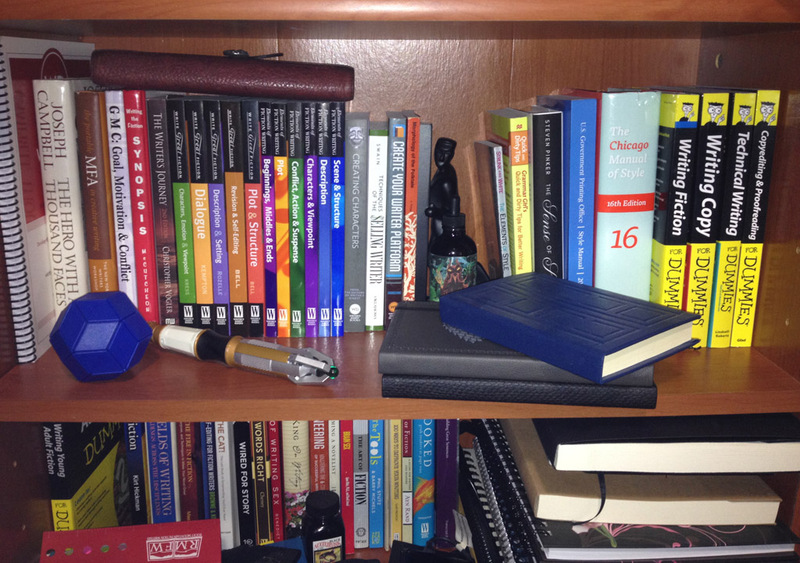 One of the topics that surfaced in our discussion concerned the number of books on the writing craft that I own. That’s actually a minor problem I feel many other writers may have. In our quest to become professional writers, we mistake the quantity of our tools and gadgets for the quality of our work. Certainly each new book, gadget, or piece of software may enable aspects of the craft, but on reflection, they aren’t needed. If you have an entire woodshop at your disposal, you can build a really nice chair. But if all you have is a hammer, some wood, and some nails, you can still build a chair. And if you’re spending all your time assembling your woodshop instead of building your chair, at the end of the day, you still don’t have something you can sit in. You can sit in a crudely fashioned unsanded chair, but not an unfinished one. There is no substitute for doing the work. All the tricks of craft won’t help you, if you cannot produce. With that in mind, I decided to take on a thought exercise. If I were starting out on my career today, right this second. Which books in my collection would help me the most. Now I ranked these in a somewhat unique manner. I’ve ranked these on the basis of how much information they impart in the briefest time period and how useful that information would be to a nascent writer. Without further ado, here is my list of what I consider to be the 10 Essential Books for the Beginning Writer (and really, you’d be okay with just the top 5). Yes, a “For Dummies” book is my first pick. I love the entire series, because they won’t make you an expert but give you enough information to be dangerous in a very short period of time. This is a fantastic overview book. It covers everything from concept to publication, characterization and plotting, and even time management. This is a great survey book for everyone. 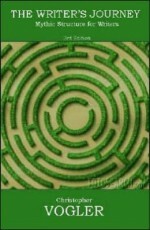 It is a very quick read and downloads a lot of info into your cranium in short order. 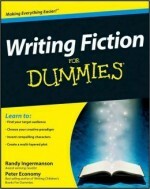 There’s also a WRITING YOUNG ADULT FICTION FOR DUMMIES by Deborah Halverson. Looks to be the same type of book, but obviously geared towards YA. I have not read this one yet. 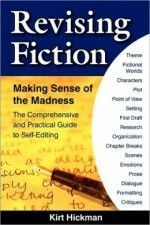 2: REVISING FICTION: MAKING SENSE OF THE MADNESS by Kirt Hickman. This one might be a little strange, but trust me, it is worth it. Not really about how to write your book (although it has parts of that), but obviously more towards how to edit it after you finish it. If I’m not mistaken, the author is a systems engineer in his day job and this is pretty much a systems engineering approach on how to edit a book. Complete with checklists on what to look out for. Good stuff for us ex-missileers (we love checklists) and those engineer-minded creatives out there. Again, a quick read and a very good reference book to peruse right before kicking off your revision drafts. 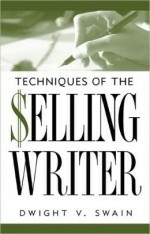 3: TECHNIQUES OF THE SELLING WRITER by Dwight Swain. There is so much good advice and technique in this book it is frightening. Other books might tell you about a technique to write good fiction, but this is the one that spells out the techniques for writing commercial Fiction that will sell. Written by a former writing instructor from University of Oklahoma. I’ve read it twice and keep picking it up to leaf through it. Each time, I find something new. This one is a serious repeat offender. 4: THE WRITER’S JOURNEY by Christopher Vogler. This is a book about how to create excellent plots. They can turn out to be a bit formulaic, but you know what? Hollywood has been using these methods for decades and most people haven’t figured it out yet. This book primarily covers “The Hero’s Journey” but also touches on Jungian archetypes useful in characterization. If you don’t know what the Hero’s Journey is, I’ve got a nice primer on my site here: http://www.apocprod.com/Pages/Hero/Hero_Main_Page.htm . And yeah, I know I need to update these pages. This book will literally change the way you watch movies and TV shows. When you’re done with this, pick up a copy of Joseph Campbell’s The Hero With a Thousand Faces. 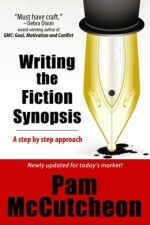 5: WRITING THE FICTION SYNOPSIS by Pam McCutcheon (this one can be hard to find in hardcover, but now the ebook is out!). So you might not be ready to start sending out your manuscript yet, but you’re going to need to turn in a synopsis at some point. Honestly, sometimes it might be very useful to write out the synopsis before you begin and then revisit it after your first draft and see how much changed (it will probably be more than you think). 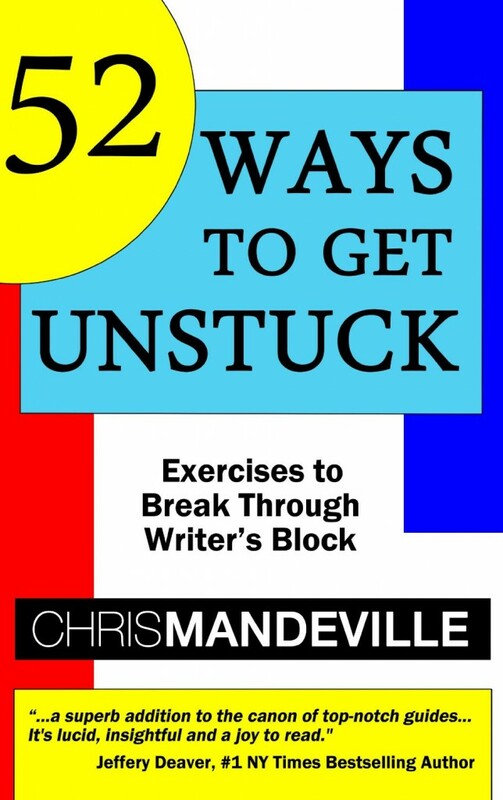 This book will help you be able to distill your ideas so that you can communicate them easily when talking to other writers, and prospective agents and editors. Every commercial writer must master the synopsis. It just isn’t optional. 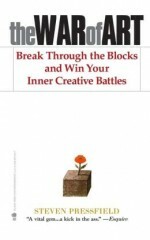 This book is disguised as a series of exercises to break through writer’s block, but is really a survey guide of great advice distilled into a volume you can burn through in a long afternoon. No joke. This is a quick easy read chock full of all kinds of storytelling techniques. It’s not quite comprehensive, but that’s not for lack of trying. Full disclosure: I know Chris, she and I both belong to Pikes Peak Writers and I hang out in her classes whenever I can. But trust me, you can buy five other books that will give you the information crammed in this one. This is a screenwriting book. So why list it here? Because no one does plot like successful Hollywood screenwriters. I have a little bit of mixed feelings about this book, because it has been so influential that a lot of modern stories/movies follow the template a little too closely (which is also a problem with the Hero’s Journey), and that makes the stories predictable to anyone who knows the secret formula. Still, I remember the feeling I got when I first read this and it was like mana from heaven. 9: THE WAR OF ART by Stephen Pressfield. Sun Tzu for the soul. Non-fiction book that will keep you going when everything seems completely hopeless. A tiny but ubiquitous style guide. Another repeat offender on my list. Only about 100 pages long (counting the index and glossary), this is a great style guide. 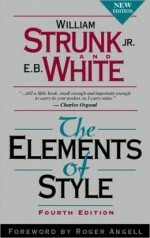 Geared more for journalists and non-fiction writers than fiction, but when in doubt, and you don’t want to haul out the CHICAGO MANUAL OF STYLE, default to Strunk and White and you’ll generally be okay. Great book that covers just about everything. Delves into the Hero’s Journey but also adds some additional specifics. 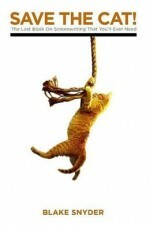 The sort-of-sequel to the first book Screenwriting Tricks for Authors. 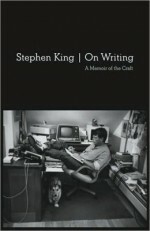 Much of the content from Screenwriting Tricks is in this book as well, so this is more like a revised 2nd edition. 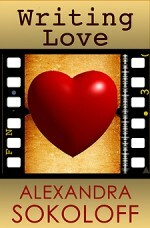 But it also includes a lot of tips and pointers on how to write romance (hence the title). Well worth it. As far as I know, it is only available in eBook form, but I really wish it was print-on-demand at least, since I would love to have a hardcopy to tab and highlight. That’s it. Tack on a solid pocket thesaurus (I like The Concise Roget’s International Thesaurus) and a dictionary and you’re off to the races.